WomenVenture needed a customizable CRM solution of their constituent information, steamline internal processes, and data. PowerObjects has given WomenVenture financial tracking, event and donation management, daily processes, provided client services. With Microsoft Dynamics CRM, WomenVenture now has a 360-degree view of their clients, donors, and volunteers. WomenVenture had been using a patchwork of three separate databases to track their donors, volunteers, and clients. The disconnect between these systems was creating repeat communications to their constituents and creating excess work for their staff. As an alternative lender and a non-profit, it was important for WomenVenture’s data to be accurate and easily accessible in order to keep track of donations and loans, as well as improve their consultants’ ability to provide proactive service to their clients. WomenVenture decided they needed a new solution that would better fit their needs as an organization and they chose PowerObjects as their partner to help them implement Microsoft Dynamics CRM. “When we came to the decision that Microsoft Dynamics CRM was the solution we wanted to go with, we looked into finding a local partner with a great reputation—and that was PowerObjects. They were the clear choice based on all of the offerings we came across,” says Katie Kosseff, Operations Manager at WomenVenture. 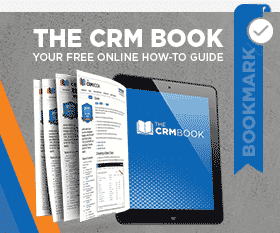 Microsoft Dynamics CRM has given us an immediate advantage. We have a lot of crossover between our donors, volunteers, and clients. Now we can see all of our constituent data in a holistic way. Being able to look at all that in one system has really simplified and streamlined both our internal processes and interactions with our constituents. Microsoft Dynamics CRM and PowerObjects suite of PowerPack Add-ons has helped WomenVenture with accurate financial tracking, event and donation management, streamlined daily processes, and allowed them to provide proactive client service. With the help of PowerObjects, WomenVenture now has a fully customizable system tailored to their organization’s needs and that can easily integrate with existing tools—all at an affordable price. “PowerObjects helped us create a true XRM solution that truly gives us a holistic view of our constituents. I have worked with many other nonprofit databases, and what I love about Dynamics CRM is how flexible it is for the end user. There is an extensive amount of customization that we can do ourselves and that PowerObjects can do for us. With Dynamics CRM, the sky is really limit. We are really excited about using Dynamics CRM. There are many nonprofit specific solutions out there, but for us, Dynamics CRM has been a great choice,” Kosseff says. With Microsoft Dynamics CRM, WomenVenture now has a 360-degree view of their clients, donors, and volunteers. Instead of having to search through separate databases, all of their constituents’ data is consolidated in Dynamics CRM. “Microsoft Dynamics CRM has given us an immediate advantage. We have a lot of crossover between our donors, volunteers, and clients. Now we can see all of our constituent data in a holistic way. Being able to look at all that in one system has really simplified and streamlined both our internal processes and interactions with our constituents,” says Kosseff. With the large amount of crossover between the previous databases, it was common for different staff to end up connecting with the same contact resulting in duplicate communications. With Dynamics CRM, it is easier for WomenVenture to track interactions with their constituents and ensure that these activities are more effective. “PowerObjects really helped us implement a Dynamics CRM system that fit our needs, and now we have a much better way to stay in contact with our donors and volunteers and track the progress of our clients,” Kosseff adds. WomenVenture also uses Dynamics CRM to manage their entire volunteer base, and tracking their volunteers’ skills, qualifications, and training schedules has become much easier. “Our service delivery model makes extensive use of volunteers, and we have a lot of subject matter experts who volunteer their time. It’s very important for us to be able to track volunteer hours accurately for reporting and volunteer recognition purposes,” says Kosseff.  WomenVenture’s clients come to the organization with a basic business idea, and WomenVenture helps their clients grow the skills needed to build their business. WomenVenture utilizes a custom integration of PowerObjects PowerPack Add-on, PowerZapEvent to track their class registrations. “Clients attend training classes we provide, and we manage these class registrations through Dynamics CRM. Once a client is ready to launch their business and need a loan from us, it’s really helpful for us to know what training they have taken and what business consulting they need to take the next step,” Kosseff says. 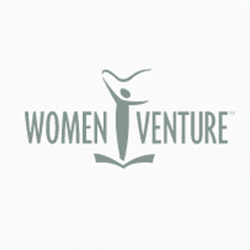 WomenVenture acts as an alternative lender and provides loans to help clients start up their businesses. The organization effectively uses Dynamics CRM to track their finance activities. “Dynamics CRM has been important for us because it allows us to know holistically what’s going on with our clients. Knowing where our clients are in the lifecycle really helps facilitate their growth. Many clients come to us seeking funding but we often identify gaps in training and business planning that need to be addressed before we can lend to them. We are able to use Dynamics CRM to track clients’ progress against these goals and help prepare them for loan readiness,” says Kosseff. Dynamics CRM has helped the organization’s finance department keep track of loan information and has helped streamline these processes. WomenVenture utilizes dashboards in Dynamics CRM that are easily customized so staff can tailor which information they view each day. This is an important feature in allowing WomenVenture to provide excellent proactive service for their clients. Consultants are alerted if a client needs assistance, and they can plan for when a client is ready to take the next step with their business. The integration capabilities of Microsoft Dynamics CRM and WomenVenture’s existing Microsoft Office tools and applications has made a positive impact on the administrative side of the organization—reducing the amount of time it takes to send out customer communications and simplifying internal processes.  “The easy integration made our switch to Dynamics CRM so much easier and has been very helpful in our day-to-day operations. Automation features like workflows have been effective at decreasing the amount of work that our front desk has to do. Our staff can easily send out a receipt, registration reminder, and class reminder through CRM,” says Kosseff.